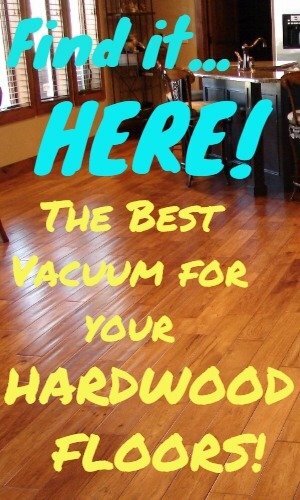 You have come to the right place to find reliable information about vacuum cleaners! My vacuum cleaner reviews will provide you with accurate, up to date information to help you make the best choice. Hi, my name is Will Marcus and I am a retired IICRC Floor Care professional with years of experience cleaning all types of floors with all types of equipment and products. I just love helping people take better care of their floors and assisting them in finding that just right vacuum cleaner! There are just so many models to choose from; and with all the confusing advertising it can be very frustrating to make the right choice. My goal is to assist you in your search by providing reliable and up-to-date information and recommendations for selecting the best vacuum cleaner and floor care products. No one gives me vacuum cleaners to test. I buy them myself and test them on my own floors. My house has all the different elements in my home including carpet, area rugs, hardwood, tile flooring, and stairs. I live in the sunny state of Georgia where there is plenty of dirt including the infamous red Georgia clay. The vacuums get tested in real world conditions so you will know how they will work in your home. 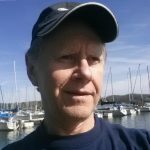 You can find opinions about almost any vacuum cleaner model online (blogs, consumer research sites, shopping sites) but the fact that I have years of experience with multiple brands and products gives me a unique perspective. I have learned that it’s not enough for a vacuum cleaner just to perform well; it’s just as important for a it to be easy to operate. I want to help you understand whether certain features are necessary and whether a higher priced vacuum cleaner is worth paying the extra money. Most of all, I want you to be able to decide whether or not a certain vacuum is RIGHT FOR YOU – whether it will do what YOU need it to do. I understand how difficult it is to keep track of a lot of information, especially when you are considering multiple products. That’s why I try and provide Side-by-Side Comparison tables for similar vacuum cleaners – listing the important features, specifications, and pricing. This will enable you to filter down the most suitable candidates to your short list. The table will include a LINK to my review so you can jump right to the one that’s best rated, or has the longest cord or dirt-holding capacity – or whatever your criteria might be. The primary function of a vacuum cleaner is to remove as much loose gritty dirt, debris, and hair from your home as possible. Its that gritty dirt that damages your carpet’s fibers, causing shading and actually cutting the fibers. If I observe an excessive amount of loose dirt in my customer’s carpet I feel a responsibility to point it out to my customer and offer some info that will help them do a better job of keeping their carpet clean on a day to day basis. And that job depends on having the best vacuum cleaner for their particular flooring situation. I have been an animal lover all my life and have almost always had pets in my home – pets that include cats, dogs, and birds. But pets that shed hair present an even more difficult challenge for a vacuum cleaner. Finding the Best Pet Hair Vacuum is essential if you share your home with a cat or dog. If you or someone in your home are unfortunate to suffer with allergies or other respiratory issues you want a vacuum cleaner with the best possible filtration system to trap those nasty offenders. Not only is your carpet a catch-all for unwanted dirt and debris but it also serves as a giant filter. It actually does a pretty good job of capturing allergens including dust mites, pollen, pet dander, mold and mildew. That’s a good thing! However, stirring up these culprits while cleaning could trigger an allergic event. Not a good thing! That’s why it’s important to select a vacuum cleaner equipped with a Sealed HEPA Filtration System that will trap up to 99.9% of allergens. Of course there are other issues to consider such as your physical ability, storage, and portability. 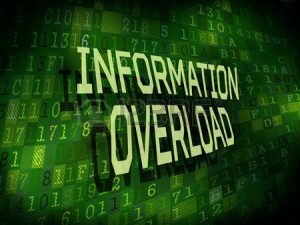 I fully understand how easy it is to develop “Information Overload” while researching vacuum cleaners. There are just so many models to choose from. On this website you will find only top-rated, tried-and-proven vacuum models that have been carefully researched, and reviewed. I provide Side-by-Side Comparisons so you can compare features of similar vacuums. This info will help make your selection even easier. You will find most types of vacuum cleaners reviewed and recommended here that include bagged and bagless uprights, canister, stick, hand-held, and cordless vacuums from the top manufactures.